The old webpage is linked at the end of this post if you're interested in checking out my old blog. You might have already known that previous little fun fact but let me ask you another question. 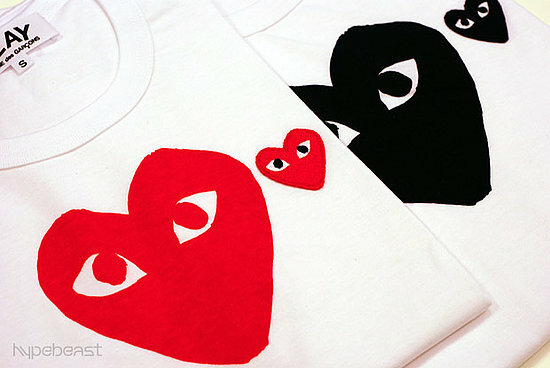 Do you know how or who designed the famous Heart bug eye logo that is taking over the streets? 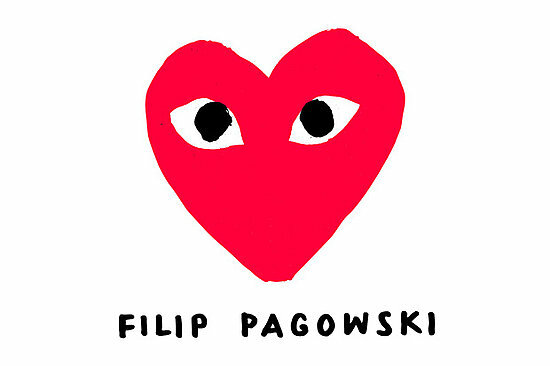 Did you know that the famous Heart bug eye we know and love today is actually a collaboration with a New York graphic artist by the name of Filip Pagowski. Before the famous PLAY logo was established, Filip Pagowski actually worked closely with Comme des Garcons because his wife, Dovanna was a fashion model in the 80s. The most interesting part about this inspiring story is that, through all these mini collaborations when Rei Kawakubo [the founder of Comme des Garcons] finally discovered Filip, she had no idea that Filip had actually done so much with Comme des Garcons previously. 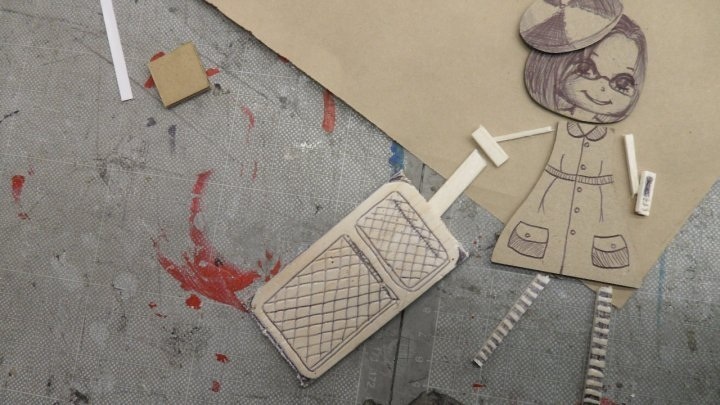 Filip was asked for a collaboration based on his work, no strings attached, no social connections. Filip described the process of the creation of the famous PLAY logo to be rather spontaneous. An inspiration that was not preharps connected to anything but an idea of a red heart with eyes. It was immediately drawn out and it was FIRST DRAFT! 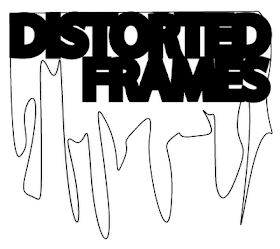 raw, uneditted, the purest form of art and an idea. 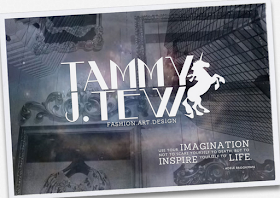 Check out more of Filip Pagowski's work, website and portfolio, it's absolutely amazing! Be inspired, don't be afraid to dream.